Branding is one of the most important aspects of any business, large or small. Your brand is your promise to the customer. The foundation of your brand is your logo, website, packaging and promotional materials. An effective brand strategy gives you a major edge in increasingly competitive markets. We offer dynamic signage options from real time digital displays to static signage to keep your attendees informed. Elevate your brand and take your event to the next level through the use of custom handsets and branding elements. From a simple step and repeat backdrop, to a custom designed stage set, our team can help promote your brand and enhance your message. We bring your vision into reality. 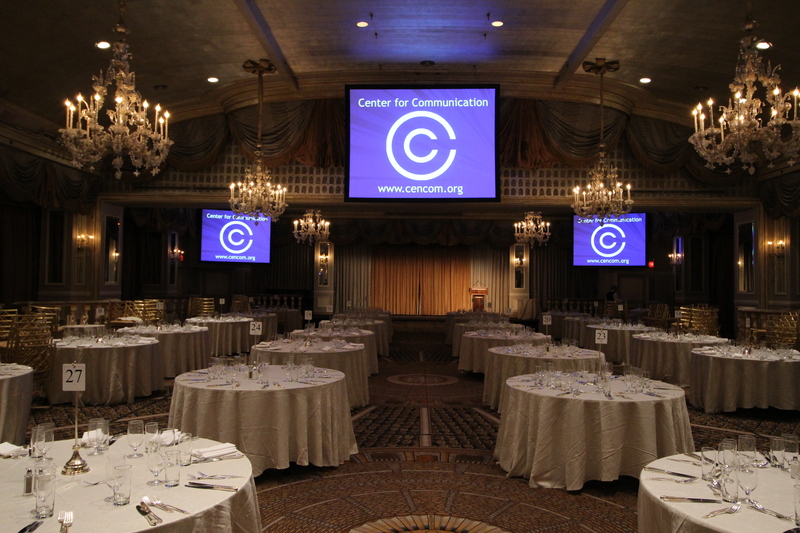 Add a finishing touch with the use of custom table surrounds, podium screen surrounds and others.